I love using Instagram. And in the floristry world, it’s one of the most popular social media platforms. Not surprisingly really, as it’s so visual. Before I post any of my photos in Instagram though, I always edit them first. And I use my favourite photo editing app…Snapseed. The only option that I generally use within the app is ‘Tune Image‘ and I’ll brighten and add saturation to my photos. But you can also use what’s called ‘Selective Adjust‘ to change the brightness, contrast and saturation on specific parts of an image. 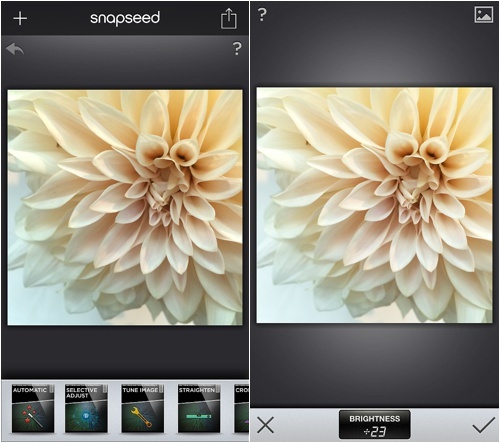 Snapseed is free and you can use it on iPhones and Android phones too.